Scott Wishart entered estate agency in 1982 and has been a partner at Hill Clements for the past eleven years. His thirty two years of agency experience in the Guildford area has enabled him to gain a wealth of local knowledge. Scott lives in Shalford with his wife, three daughters and trusty black Labrador and has a keen interest in rugby, having played at local club level for twenty six years. In rare moments of spare time he can now be found driving on track days, mainly at Goodwood, or off road motor biking and is a recent convert to shooting, accompanied by his loyal gun dog. Marcus was born in Guildford and grew up locally. He has spent his entire working career in the town and his eighteen years of estate agency experience has previously included working for a local partnership and two national agencies, ensuring he has a broad knowledge in all areas of the market. Marcus lives in Gomshall with his wife and son and is passionate about the area and can regularly be seen walking, running and cycling in the Surrey Hills. He is keen on rugby and cricket. Richard has been at Hill Clements for nine years and forms an integral part of the team. 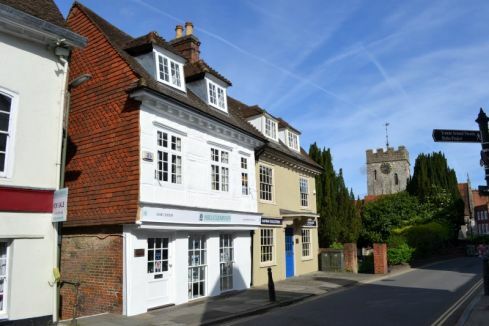 His seventeen years of estate agency experience has also been gained at both local and national agents within Guildford. Richard’s many qualities include a canny knack of guiding sales through to successful conclusions by having an excellent rapport with clients and lawyers. Richard lives in central Guildford with his wife and young daugter, along with their Jack Russell Terrier. John has worked in agency for 46 years and was one of the founding partners of Hill Clements in 1991. John’s wealth of experience and contacts is being put to good use in a consultancy role as he considers retirement and spending more time with his grandchildren and travelling. John also lives in central Guildford and can now walk to work. Angela has been with Hill Clements for the past ten years and has many years of experience in estate agency which always has a calming effect in the office. Angela lives in East Horsley and plays year round tennis.